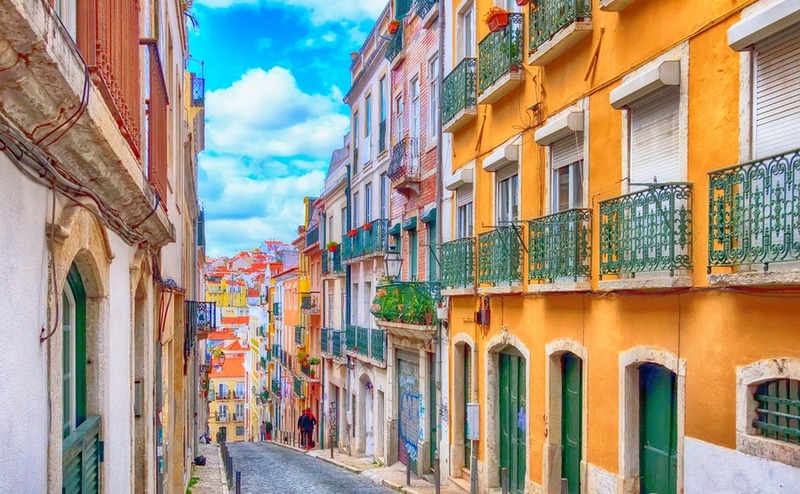 What’s ahead for the Portuguese property market in 2019? 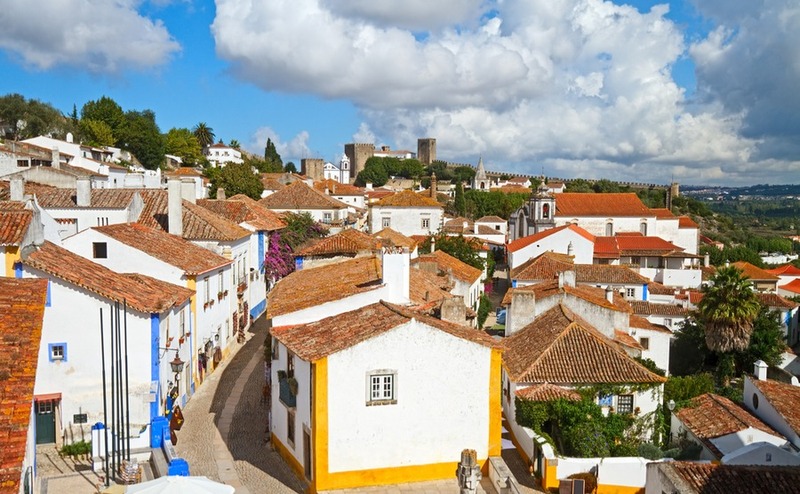 The Portugal property market continues to go from strength to strength. It seems likely that 2018 will be looked back on as the year when the ghosts of the financial crash were well and truly exorcised. Home owners in Lisbon, in particular, have much to celebrate. Properties in Portugal’s capital are now worth 24% more than they were when the market hit the buffers back in 2012, in the wake of the financial crisis. This is according to the Knight Frank 2018 Portugal Insight Report. The Portugal property market remains buoyant despite some changing demographics among those buying homes in the country. Portugal is increasingly popular with buyers from across the globe, not least those from colder northern Europe. In addition to buyers from the UK (who are actually in slight decline), Portugal is now a top choice for overseas buyers from Scandinavia, France and Germany. It’s not just European buyers who are flocking to Portugal. The country’s Golden Visa scheme continues to attract new arrivals from much further afield. The scheme offers fast-track residency to overseas buyers prepared to invest in the country. The scheme is especially popular with those from Russia, China and South Africa. People can qualify for the scheme with a property investment of around €500,000. There’s a lower threshold for buying property in areas considered to be undergoing regeneration. In addition to this, Portugal’s Non-Habitual Resident scheme is anther string to the country’s bow. It’s undoubtedly another reason why Portugal continues to attract property investment from overseas. This tax scheme, aimed primarily at pensioners and high net worth individuals, provides low fixed tax rates for local income. There are also total (time-limited) exemptions on money sourced from abroad. In some cases this can mean people can move to Portugal and enjoy tax-free pension income. The Portugal property market is expanding rapidly. To top it off, Portugal also has an extremely favourable inheritance tax regime. Inheritance tax has been replaced with stamp duty in Portugal. It is only payable on Portuguese assets, and there are exemptions for direct descendants. Used together, these schemes make Portugal an extremely attractive and cost-effective destination for permanent living. The Portuguese authorities set out to attract investments and new arrivals, and it’s fair to say they’ve succeeded in their aim. Over 6,300 people have headed for the country as a result of the Golden Visa alone. 2018’s good news for the Portugal property market doesn’t all involve buyers from abroad. There’s also news that the majority of the half a million Portuguese natives who left the country in the wake of the financial crisis – usually to find work – have now returned home. Luís Carneiro, the State Secretary for Portuguese Communities, believes that 350,000 of these people are now back in Portugal, as reported in The Portugal News. This is another factor impacting the property demand in Portugal. As we discuss next, owners are seeing consistent year-on-year increases in the value of their homes. Multiple reports highlight Lisbon and the Algarve as Portugal’s primary property “hot spots” for 2018. That said, more modest value increases have been reported in other areas too. As is often the case, exact reported figures tend to vary from organisation to organisation. The key point is that all the statistics out there show values moving in the right direction! Portugal’s National Statistics Institute points to annual increases of 4.6% for the Alentejo, 7.3% for Lisbon, and 9.4% for the Algarve. These prices are based on bank valuations. Meanwhile, Knight Frank recorded the Algarve’s increase as 6.5% since 2017. Make sure to get the best price for your home with the insider advice from our guide How to Negotiate Abroad. Moody’s, the credit ratings agency, confidently predict more increases – of between 7% and 8% per year across the country – right through to 2020. This places Portugal alongside Ireland and the Netherlands with the most positive Moody’s predictions for house price growth over the next couple of years. It’s worth noting that RICS doesn’t anticipate quite as significant rise as Moody’s does, with their report suggesting increases of 3% during 2019. However, even an average of these two pundit’s predictions paints a positive and optimistic picture. Of course, property sales and prices only give a proportion of the full picture of the Portugal property market. The rental sector also tells a story. According the the latest Portugal Housing Market Survey from RICS, “tenant demand” continues to increase. This has now been the case for more than two years. Multiple factors contribute to this situation. They include the increasing popularity of Airbnb-style short rentals, which reduce the supply of long-term lettings. It seems likely that the return of hundreds of thousands of Portuguese will have also put pressure on demand for rental properties. For overseas investors, this represents an opportunity; Even though RICS reports a slower “pace of growth” in demand for rentals, new landlord instructions continue to drop. As such, it seems likely that there will continue to be upward pressure on monthly rents. This could perhaps make investing in property in Portugal for long or short term letting seem like an attractive proposition. After several consecutive years of smashing tourism records, Portugal was perhaps due for a less strong holiday season. While 2018 was far from a bad year for tourism, there were a few bumps in the road. While there were still plenty of positive statistics, there were also a few letdowns – especially in early summer. Over the course of June and July, there were considerable “double digit” drops among tourists from elsewhere in Europe. This was according to figures from the tourism secretary reported in The Portugal News. Multiple factors contributed to this, not least the World Cup. This was coupled with an unusually hot summer for much of northern Europe, including the UK. On top of this was that fact that tourists began to drift back to destinations like Egypt and Tunisia, after turning their backs on these destinations due to the perceived terrorism threat. Portugal had benefitted from this trend in recent years. Press reports of expensive Euros and cheap Turkish Lira no doubt also played a part. Despite this, Portugal still managed to end the season on a positive note. In late August, it was reported that Portugal had overtaken Greece to become fourth in a ranking of southern European nations in terms of tourist income. The country now makes 17 billion dollars in tourism revenue. Portugal also did very well from off-season tourists, with revenue up 14% year on year for the the January to March period. Revenue was also up by 13% for June, according to the Bank of Portugal. So what can everyone expect from the Portugal property market in 2019? As already discussed, solid value increases seem likely across the country, with Lisbon and the Algarve continuing to lead the way. Regardless of which exact prediction comes to pass, it appears that Portugal’s tax initiatives have set the scene for a steady increase in demand for homes. If you’re ready to buy in Portugal, speak to your Portugal Property Specialists . We can introduce you to a trusted estate agent or lawyer, or talk to you about currency. Call us on 020 7898 0549 or email portugal@propertyguides.com. In their Housing Market Survey, RICS predict a “softer trend” in housing market activity in the months to come. This could mean that things may slow down somewhat. However, the basic laws of supply and demand continue to support an upward trajectory for prices. This is thanks to a continual fall in properties being placed on the market, a trend that’s been in place for 19 months in a row. What impact could Brexit have? It’s impossible to make any overseas property market prediction for 2019 without addressing Brexit, and its possible impact on UK buyers. At the time of writing, there are considerable loose ends, and no way of predicting exactly what will happen with such a fast-moving situation. All we can say for certain is that you will still be able to purchase property overseas. With that in mind, it’s perhaps best to focus on the fact that Portugal has spent years actively working to attract property investment from overseas. The success of the Golden Residency and Non-Habitual Resident schemes discussed earlier in the article is testament to that. It therefore seems extremely unlikely that the country won’t do all it can to smooth the way for Brits who wish to buy property – regardless of exactly how Brexit comes to pass. Uncertainty is likely to be largely behind any fall in demand from UK buyers seen in 2018. Regardless of what happens at the end of March in 2019, Brits should at least see an end to that uncertainty. It also seems reasonable to ponder whether other areas of Portugal will get their turn to see some bigger property price increases. Incredible bargains are still widely available everywhere from Coimbra to Central Portugal to the Alentejo. One can’t help but wonder if it’s only a matter of time before heads turn towards them! 2018 was yet another year where the Portugal property market performed well. In the absence of any unexpected global events, 2019 looks set to be rather good too. 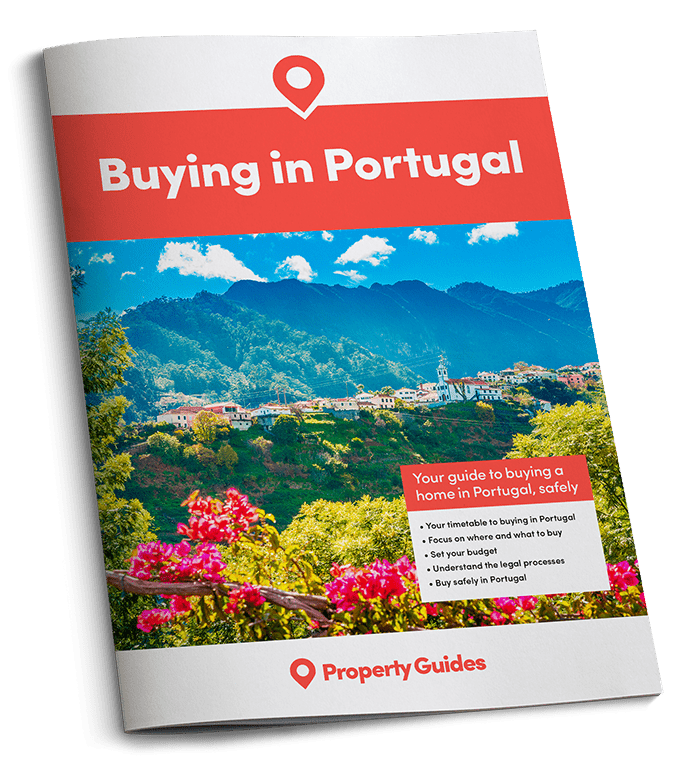 For more information on buying a home in Portugal, check out our buying guide.